Wind is a critical renewable energy resource for Hawaii, so it's no surprise that the state's so-called 'Energy Excelerator' incubator has included a wind company in its newly announced 2016 list of clean tech startups to support. The surprise is that the company is SheerWind, a Minnesota-based company that has some wind industry observers scratching their heads over its unique approach to wind turbine design. The great state of Hawaii recently cemented its role as the leader of the United States' energy revolution by pledging to achieve 100 percent renewable energy by 2045. One emerging driver for attaining that goal is the Energy Excelerator. The incubator has its roots in the 1983 Pacific International Center for High Technology Research. It was formed in 2013 with a $30 million grant from the U.S. Navy, tripling an earlier pledge of $9 million from the U.S. Department of Energy. For those of you outside of the U.S., it's helpful to keep in mind that Hawaii has a strong economic interest in weaning itself off fossil fuels that predates global action on climate change. The aforementioned Pacific Center, for example, was created specifically to reduce the state's dependence on expensive oil imports. The Navy comes into play because Hawaii is a key strategic port, and because the Navy has been a forceful advocate for transitioning to sustainable, renewable energy. As a branch of the armed services, the Navy is also keenly interested in the Department of Defense's pursuit of scalable and portable renewable energy solutions. Just last week, TriplePundit took note of an experimental wind turbine design under development that's meant to tap offshore wind resources on a colossal scale with enormous blades the length of two football fields. Of course, such a scale would be virtually impossible to replicate on land, particularly in developed regions and states like Hawaii, where energy development issues are complicated by ethnic and historic concerns as well as tourism and other competing industries. These same issues also limit site selection for the current crop of high-efficiency wind turbines, which are perched on taller towers to harvest stronger, steadier winds at high altitudes. That's where SheerWind comes in. SheerWind's Invelox system deploys the Venturi effect, which describes how pressure increases when liquid (or air) flows from a larger pipe to a smaller one. From the outside, the Invelox system resembles a stubby tower. It collects low-speed winds at low altitudes through large openings, and directs them down through a smaller funnel. The concentrated wind energy is then used to spin a series of turbines placed at ground level. 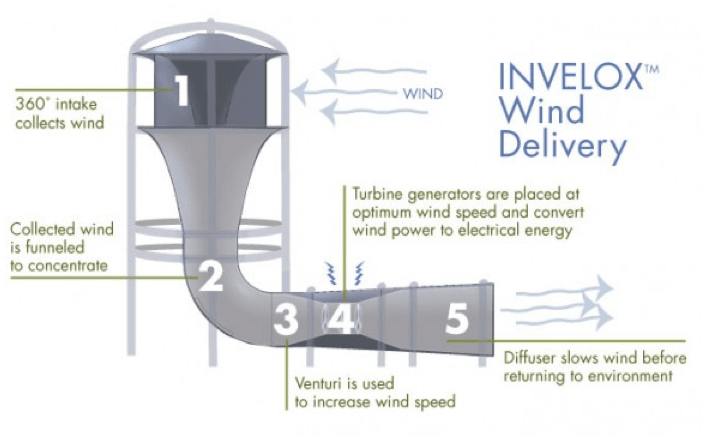 While not necessarily the most efficient setup for wind energy harvesting -- hence the aforementioned head-scratching among some industry watchers -- systems based on the Venturi effect are apparently beginning to finding acceptance. In certain locations, such systems could provide for low-cost wind energy harvesting in a way that can't be satisfied by conventional wind turbine designs. That's partly because the enclosed, low-slung design provides a good canvas for aesthetic blending in a wide range of architectural styles. The close-to-the-ground design also enables greater ease -- and lower costs -- for transportation, installation and maintenance. GE, for one, appears to have its eye on all angles of wind energy harvesting. The company is among the advisers to the research group working on the gigantic SUMR wind turbine project, and it is also an investor in the Energy Excelerator through its GE Ventures arm. "When it comes to energy innovation, all eyes are on Hawaii. Their residents pay the highest energy prices in the nation, three to four times the national average, while the state pays $6 billion per year to import fuel, mainly diesel, to power the grid." "With these issues in focus, we are excited to announce our partnership with Energy Excelerator, a Hawaii-based program dedicated to solving the world’s energy issues." "We strive to partner with the most innovative organizations, and with Energy Excelerator, that trend continues." 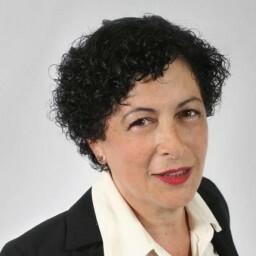 Dawn Lippert, who co-founded the Energy Excelerator and serves as its director, emphasized these points in a recent press release, explaining: "We're betting on SheerWind because their bird-friendly, inexpensive, and easy-to-install technology has the potential to scale successfully in Hawaii and other markets." It looks like the Netherlands is also interested. Last year SheerWind announced that it launched a licensing agreement with Reikon Beheer, a Dutch company with an interesting take on corporate social responsibility. Reikon Beheer appears ready to construct its first pilot project this year under the name NedPower SWH, so stay tuned.